The order form is for the Standing Order Deposit Account (SODA) holders. Dateline is 29 April 2019 – do not miss the dateline! Thanks for all the Soda forms posted here. I managed to get my first day cover which had missed before. Appreciate your sharing very much. You are most welcome and thanks for reading myfdc! 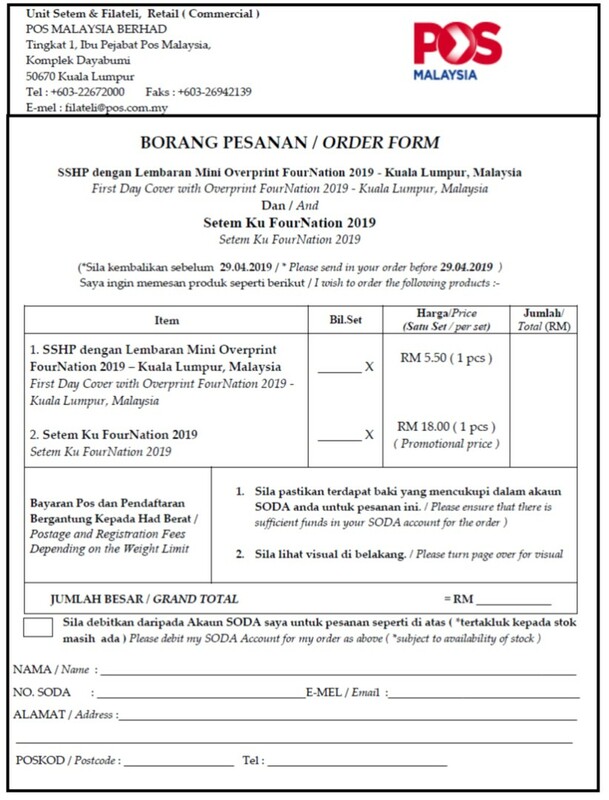 Hi, I just want to order the O/P miniature sheet but not the FDC or Setemku, is there a separate order form?? 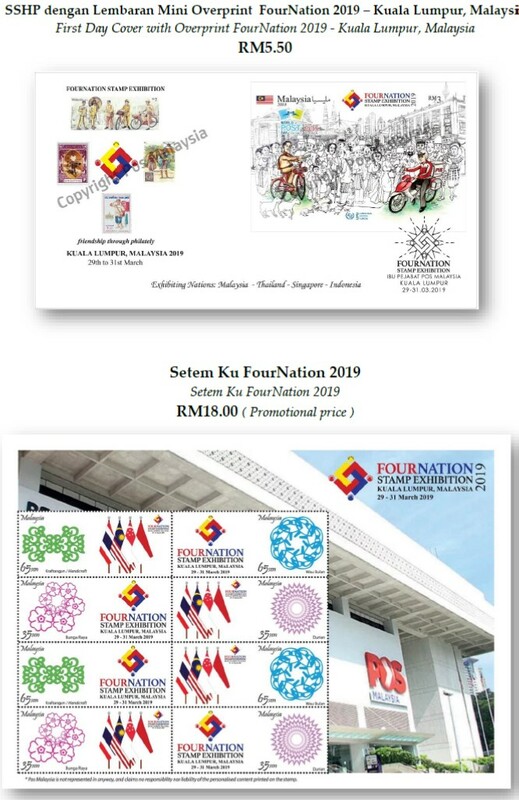 Currently Pos Malaysia is not offering the mint Overprint MS.
Not to worry. Actually plenty in the market. Maybe unsold Overprint MS might be sold in the future. The market price is also not high as it was easily available during the mornings of the stamp exhibition.